EU Criminal Law is perhaps the fastest-growing area of EU law. It is also one of the most contested fields of EU action, covering measures which have a significant impact on the protection of fundamental rights and the relationship between the individual and the State, while at the same time presenting a challenge to State sovereignty in the field and potentially reconfiguring significantly the relationship between Member States and the EU. 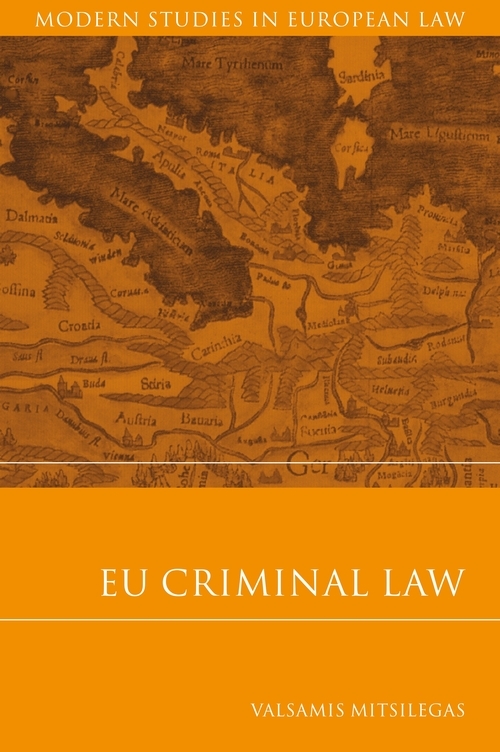 The book will examine in detail the main aspects of EU criminal law, in the light of these constitutional challenges. 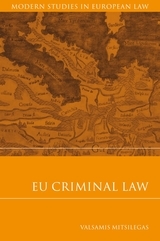 These include: the history and institutions of EU criminal law (including the evolution of the third pillar and its relationship with EC law); harmonisation in criminal law and procedure (with emphasis on competence questions); mutual recognition in criminal matters (including the operation of the European Arrest Warrant) and accompanying measures; action by EU bodies facilitating police and judicial co-operation in criminal matters (such as Europol, Eurojust and OLAF); the collection and exchange of personal data, in particular via EU databases and co-operation between law enforcement authorities; and the external dimension of EU action in criminal matters, including EU-US counter-terrorism co-operation. 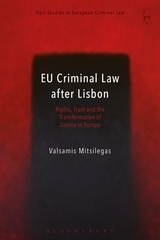 The analysis is forward-looking, taking into account the potential impact of the Lisbon Treaty on EU criminal law. Conclusion: Is Criminal Law a Special Case in the EU Legal Order? 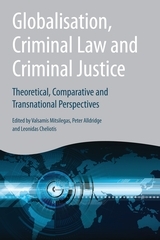 “Although written more with legal and institutional audiences in mind, the book offers an instructive account for those approaching the study of crime that has a trans-national dimension from more criminological, sociological and political perspectives. Beyond the obvious value of this book as a clearly written, poised and thorough guide to the development of EU criminal law as well as the degrees of agreement, resistance and fudges that have emerged during the development of EU engagement in this area, its contribution to political and criminological enquiry may spring as much from the questions it poses to proponents of ever-greater co-operation in international crime fighting. “The book should ... not be understood as a mere textbook; instead, it goes beyond such scope, being forward-looking in nature. 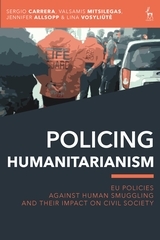 The book ... makes a valuable contribution as regards the evaluation of EU criminal law matters...The author provides concrete examples to support his arguments in order to provide a better understanding of the rather difficult subject matter. The book is well written; the author's assumptions are convincing and seem logical... the book ... should be recommended to lawyers and practitioners in the field of criminal law as well as European law who are looking for a forward-looking analysis. “The information...is full and accurate, and ... difficult issues are examined in depth, and often critically. Remarkable and welcome addition to the literature. Valsamis Mitsilegas is Head of the Department of Law, Professor of European Criminal Law and Director of the Criminal Justice Centre at Queen Mary, University of London.